Registration is now open for Upcoming Creative Learning Lab Events presented by Young Audiences Arts for Learning Affiliate Think360 Arts for Learning! 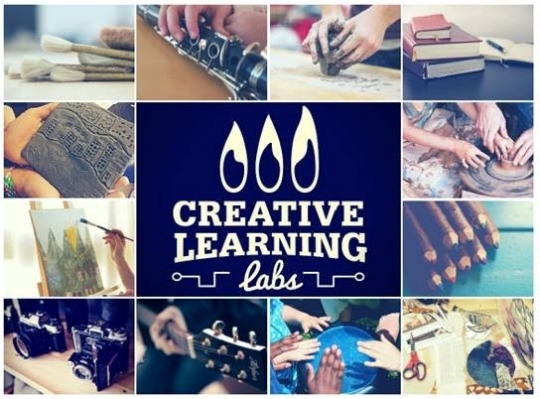 Creative Learning Labs are half-day workshops on a variety of topics relevant to educators, teaching artists, and arts education providers. They help leaders explore how to create, support, and sustain education environments that foster creativity, innovation, student engagement, and 21st century skills. Check out the two upcoming sessions below! An opportunity for attendees to understand current terminology and connect it to both gender identity and sexual orientation. The goals of this interactive workshop are to provide the historical and modern contexts of terminology surrounding organizational supports, allyship, and resources for LGBTQ youth. Mainstream culture is rife with obstacles for people who think, behave, appear, or learn differently: it can feel like a world full of stairs when you’re rolling on wheels. More and more, educators, innovators, and artists are looking for ways to eliminate these obstacles for students with disabilities by building “ramps” towards inclusion. Andrea Moore, a Denver artist and the executive director for the local nonprofit, The Wayfaring Band, shares her organizations core values, best practices and some memorable moments on their radical journey to promote inclusion and celebrate neurodiversity.